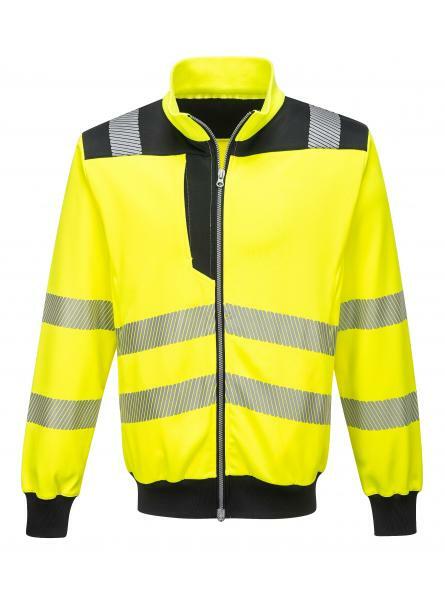 The PW3 Hi-Vis Sweatshirt is characterised by its distinctive design combining Portwest HiVisTex Pro reflective tape with contemporary contrast panels. The fabric is highly durable and has a soft handle for maximum wearer comfort. Packed with functionality including Ezee zip fastening at the centre front and 3 zipped pockets for secure storage.